Learning is the act of acquiring new or modifying existing know-how, skills and values but also to better understand behaviours and preferences. Since the ability to learn is not limited to living species only, ARE regards itself as a learning organisation. What does this mean for you, for example if you wish to expand your business towards a region where you have made prior experiences? What we have learned from exchanges and consultations with members and partners is, that one of the biggest and most time consuming challenges is very often to find the right candidate who can carry out the project. This is why the Alliance launched the Off-Grid Job Platform – a new service for members and non-member organisations. Many thanks to our member Solarkiosk for sponsoring the platform! In addition to the ARE Off-Grid Matchmaking Platform which enables effective business-to-business and business-to-finance matchmaking by giving an overview of which ARE members are active where and what their expertise in rural electrification is, the new service allows users to lower unnecessary transaction costs for engagements of best candidates. In case you wish to offer an open position, kindly contact Bernadette Roman who has joined the ARE team this week. Learning can be even more intensive when meeting in person. This year’s Intersolar Off-Grid Power Forum has shown again its high relevance as the mid-year meeting point for matchmaking and information gathering about industry developments and innovations by companies. ARE would like to thank its partners BSW and Otti for their strong efforts to make the 2nd common edition again a big success. Certainly, we all should also make use of the opportunity to learn directly from the developing countries who are looking for the best fit-for-purpose energy access technology and business solution. As announced last week at Intersolar, ARE will be co-organising the 3rd International Off-grid Renewables Energy Conference and Exhibition (IOREC III) together with the International Renewable Energy Agency (IRENA) and the Kenyan Ministry of Energy and Petroleum in Nairobi (Kenya) on 30 September-1 October 2016. Registrations for the IOREC III Exhibition, which gives the private sector the opportunity to present its products and projects, and offers stakeholders ample networking opportunities, are now open. ARE members are entitled to special discounts. We are looking forward to meet you in Kenya soon! On the topic of learning, I would like to recommend two readings about the off-grid sector. 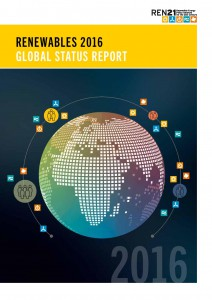 Firstly, the new Renewables 2016 Global Status Report, to which ARE provided input, has revealed that renewables are now firmly established as competitive mainstream sources of energy in many countries around the world and markets for distributed renewable systems (DRE) systems continue to grow into a bigger role. Secondly, the ARE Annual Report 2015 provides interesting insights about the work of the Alliance and its partners. Finally, learning means also learning from other companies. ARE has officially broken the magic number of 100 members. Since our last newsletter edition, we are happy to welcome eight new members. ARE has also become a very interesting place for internal knowledge exchange amongst members. The new Fact Sheet gives a quick understanding about what ARE is about. To find out more, please do not hesitate to contact the ARE team directly. PV transforms the lives of millions through affordable modern solar energy services. Especially in rural areas, off-grid PV solutions are economical viable. Nevertheless, the implementation of solar systems faces some challenges. PV transforms the lives of millions through affordable modern solar energy services. Especially in rural areas, off-grid PV solutions are economical viable. Nevertheless, the implementation of solar systems faces some challenges: new business models have to be developed, fluctuating renewable energies have to be integrated into off-grid diesel grids. Different storage technologies – for example electrochemical or thermal storage application - have the potential to increase the overall renewable share and to improve the system stability. The World Bank Group estimates 1.2 billion people do not have access to power. In a report published recently in cooperation with Bloomberg New Energy and the Global Off-Grid Association, the authors stated that 89 million people in Africa and Asia have improved access to energy by using off-grid solar products. In 2015, around US$276 million was invested in the off-grid solar industry, a 15-fold increase since 2012. The same report estimates market opportunity for the off-grid solar industry by 2020 to be worth US$3.1 billion reaching 99 million households. That makes the off-grid solar industry one of the most impactful sectors in the global economy today. Intersolar - the leading hotspot for the solar industry – has a long lasting history of bringing the key players from across the globe under one roof. Off-Grid solar solutions have now left its footprint in the world leading exhibition series. Based on last year’s success and the positive feedback received from industry and governments, Intersolar together with ARE, BSW-Solar and OTTI, joined forces again this year and organised the 2nd Off-Grid Power Forum during the Intersolar Europe. The Off-Grid Power Forum was again the spotlight and served as meeting point for the global off-grid sector and scienti­fic community. 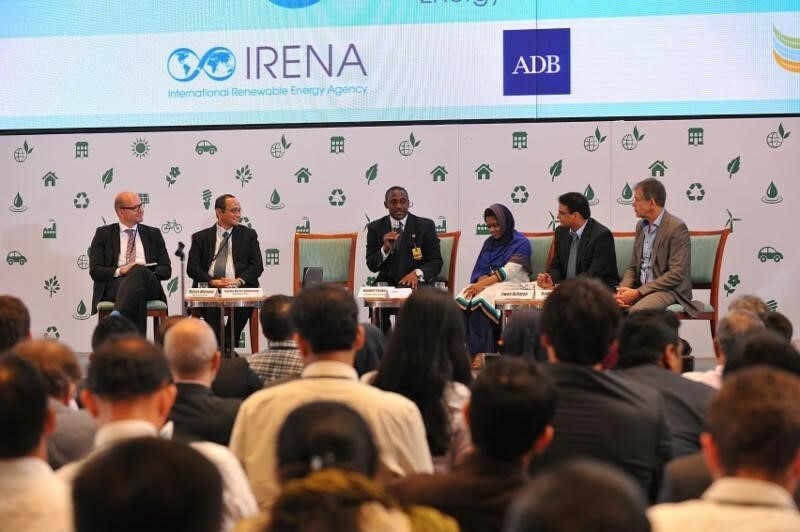 The Off-Grid Power Forum offered a compact three-day presentation program featuring companies, projects and products on rural renewable energy supply in developing countries. 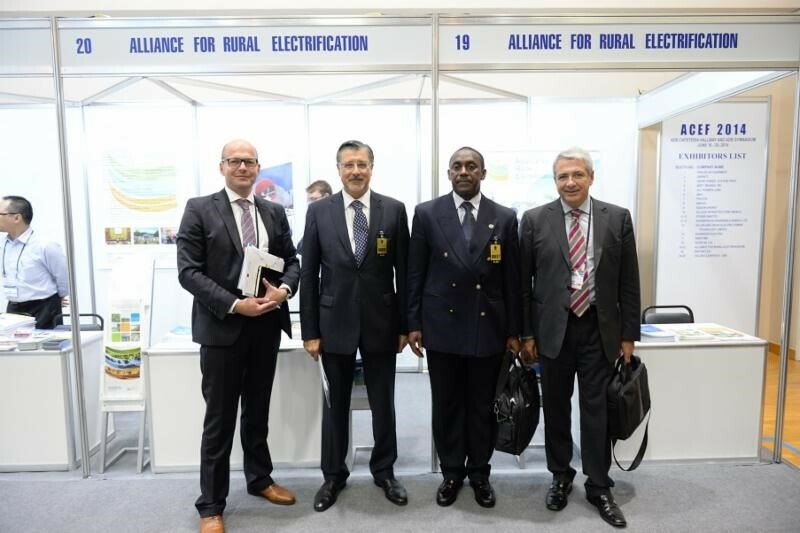 The dedicated special exhibition offered a comprehensive overview on latest trends and topics in the off-grid sector. Part of Intersolar’s 2016 commitment is the electrification of the Konkoa B Elementary School in Burkina Faso. The off-grid solar system will provide enough output to light two classrooms with LED lights every evening for at least three hours. This will allow students to complete their homework and teachers to prepare for their classes during the evening hours as well. In addition, the lighted classrooms will make it possible to offer literacy courses for adults. Off-grid projects, including mini-grids and distributed solar suppliers, are a dramatic departure from the traditional utility buyer model. Off-grid projects, including mini-grids and distributed solar suppliers, are a dramatic departure from the traditional utility buyer model. This applies to technology, infrastructure, scale, distribution and financing options, but also, and significantly, to currency risk. Large scale IPPs sell power to the utility. The utility sells power to consumers. Small scale distributed solar companies and mini-grids sell directly to consumers. Funding is mostly in USD, with reliance on external funding sources like donors, DFI’s and MLA’s. Some funding from domestic debt and capital markets, but still mostly reliant on external funding, like donors, DFIs, specialised funds. IPP’s sell power under USD PPA’s. The utility bears the currency risk or as the monopolist passes it on to consumers through the tariff. Currency risk is borne by the developer who has an uncertain ability to pass losses on to its customers. Developers do not run direct currency risk. Utilities increasingly so and suffer from it while consumers suffer from tariff volatility. Funding demand and funding supply are in USD. Developers/suppliers run the currency risk and must manage it. Passing losses on to customers has drawbacks and is unreliable. Lenders are not shielded against currency risk. Greater demand for local currency funding from borrowers. And required more by lenders. Off-grids are sold directly to consumers and generally sales are in the local currency. Hard currency funding options therefore introduce currency risk. As currency volatility in developing markets is often dramatic, exposure to it should be avoided. Running a start-up business in a developing market carries enough challenges as it is. And while a monopoly utility can transfer currency losses to consumers, that may be a less reliable and certainly sub-optimal risk-mitigant for an off-grid. On the other hand, an off-grid that is not exposed to currency risk can plan better, get higher leverage, cheaper and longer credit and offer more attractive and reliable terms to its customers. Currency risk is avoided most directly by funding in local currency from in-country debt and capital markets. Donor funded initiatives like Guarantco and the ALCB Fund are designed to catalyse domestic capital markets. Where domestic sources are constrained, external funding can be attracted. That funding can be either denominated in local currency, or taken in hard currency and hedged. Both those options can be supported by TCX Fund. TCX Fund is a donor and DFI driven initiative designed to offer currency hedging products in developing markets where hedge markets are often unavailable. While its benefits are clear, there are some common misunderstandings around local currency. A few of those can be dispelled. AVAILABILTY: both in domestic markets, see supporting initiatives like GuarantCo and ALCB Fund, and internationally, for example through DFIs using TCX Fund, local currency funding options exist, also for long tenors and at competitive rates. USD EXPENDITURES: hard currency expenses and equipment purchases do not imply that debt funding should be expressed in USD. Dollars can be purchased on the spot market and external debt, while denominated in local currency, can still be disbursed in dollars. TOO EXPENSIVE: in the long run, dollar and local currency funding are equally costly. And in the short term, you don’t want to risk it. Local currency locks in the cost of funding, creating stability, and eliminates risk. And beware: if a business model cannot support the cost of local currency, then it can also not support the often higher cost of severe volatility and currency shocks. TCX Fund is supported by a wide range of development institutions as well as by the Dutch and German governments. Last year, the German Ministry of the Environment invested Euro 30 million into TCX. The purpose of that investment is to strengthen the Fund’s capacity to support long term local currency funding to the renewable energy sectors in developing countries. The development of local currency funding markets is essential to achieve sustainable growth of off-grid markets and all TCX shareholders are committed to that objective. SOLARKIOSK is the gateway to energy and last mile distribution for the Base-of-the-Pyramid (BoP), in particular the 1.2 billion people worldwide without access to electricity. SOLARKIOSK is the gateway to energy and last mile distribution for the Base-of-the-Pyramid (BoP), in particular the 1.2 billion people worldwide without access to electricity. SOLARKIOSK´s award winning design-technology, the E-HUBB, is a stand-alone, solar powered, modular and expandable distribution center for renewable energy products, services and solutions. The E-HUBB comes as a kit of parts - for implementation in remote of-grid areas – and with a fridge, multiple phone charging appliance, satellite TV, laptop, copy/scan/printer, several lights. The technology of the E-HUBB has machine-to-machine capacity and can be integrated into a mini-grid or central grid. Each E-HUBB comes with 1 or 2 kWp capacity. The E-HUBB can then grow with the community demand for electricity by adding on a photovoltaic capacity up to 8 kWp. Each E-HUBB distributes energy to other local businesses. The E-HUBB therefore evolves into a “Connected Solar Market Center” which creates additional jobs, increases the general income at community level, supports social activities and is a public safe place after dusk. The E-HUBB as a distribution center offers solar products, ranging from a small solar torch to a large solar home system. 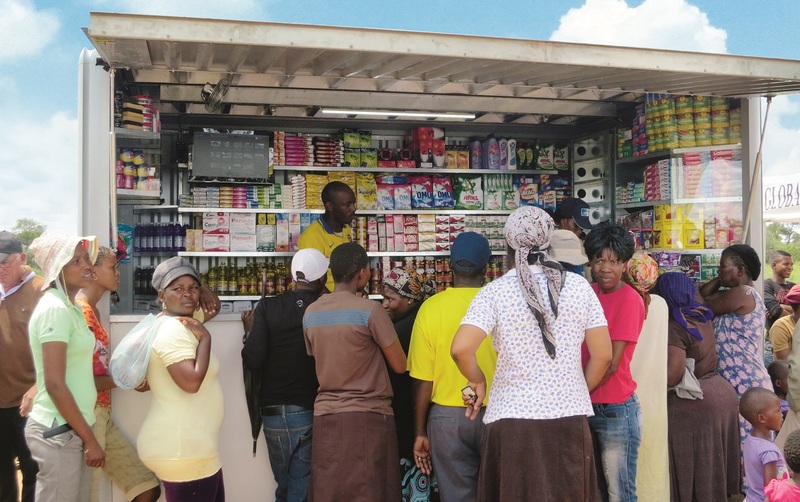 The E-HUBB entrepreneur, mostly female, is a franchisee or agent of SOLARKIOSK. Each E-HUBB creates approximately 4-7 jobs on community level, therefore significantly contributing to decreasing unemployment in developing countries. Thanks to its state-of-the-art technology-design and inclusive business model, SOLARKIOSK partners with companies like The Coca-Cola Company (TCCC), TOTAL, Ericsson, SAB-Miller, local banks and micro-finance institutions for enabling and empowering the Base-of-the-Pyramid. Many NGOs, like UNICEF, NABU, GIZ and others, collaborate with SOLARKIOSK within their programs and actions targeting the rural off-grid communities. The average catchment area of each E-HUBB is 25,000 people. With its currently operating E-HUBBs, SOLARKIOSK has reached already 1 Mio. people so far, with the potential to reach 5 Mio. people with 200 E-HUBBs by the end of 2016. 200 E-HUBBs produce more than 536,000 Kwh of renewable energy, and save approx. 41,000 tons of CO2 per annum. In April 2016, SOLARKIOSK was awarded “New Energy Pioneer” by Bloomberg New Energy Finance. In May 2016, the first E-HUBB was inaugurated as Connected Solar School in the refugee camp of Al Za´atari in Jordan, reaching 1,000 schoolchildren with light and electricity. In July 2016, SOLARKIOSK will implement its first E-HUBB as a Connected Solar Clinic, operated by the Ministry of Health in Jordan, to serve refugees from Syria. On the occasion of the Off-grid Power Forum at Intersolar 2016, we are proud to announce that we are currently commissioning the showcase model of our STORAGER®. On the occasion of the Off-grid Power Forum at Intersolar 2016, we are proud to announce that we are currently commissioning the showcase model of our STORAGER® in Belgium. STORAGER® is an innovative long-term energy storage concept based on a complete hydrogen-cycle that provides full autonomy and reliability without the need for any back-up generator. STORAGER® collects, stores and prepares rain water before it is separated in oxygen and hydrogen by means of an electrolyser. The hydrogen is stored in pressurised vessels for later use. A PEM-fuel cell transforms the chemical energy liberated during the electrochemical reaction of hydrogen and oxygen to electrical energy again. As such, renewable energy can be stored for longer periods making use of nothing else than rainwater. And as the hydrogen is stored in conventional pressure vessels this unique energy storage concept, unlike batteries, does not suffer from self-depletion. The STORAGER® is powered by SUNFOLD®, another proprietary design by Tiger Power. SUNFOLD® is a modular, containerised, plug & play solar power system with integrated short-term energy storage. The clever design of the SUNFOLD® makes it possible to transport the systems without the need for any (dis)assembly works nor additional packaging. Upon arrival on site, SUNFOLD® can be unfolded and made ready for use in less than 30 minutes. Likewise, SUNFOLD® can be folded and prepared for relocation within minutes without leaving a trace. Tiger Power’s innovative SUNFOLD® and STORAGER® together make up a POWERCAMP, which truly makes one independent from fossil fuels. Moreover, POWERCAMP solves the intermittency problem that typically is associated with renewable energy plants. Tiger Power is now looking for companies that have the vision, expertise and industry standing to commercialise our products and systems in one or several markets segments or geographical areas. Since last January, Ennera has operated its Hybera solution in Idini (Mauritania), having reached an availability of power of 100%. Since last January, Ennera has operated its Hybera solution in Idini (Mauritania), having reached an availability of power of 100%. During this time, the fuel savings have been more than 95%, dramatically reducing the operating costs of the client´s tower. Ennera has not only made the installation and commissioning of the solution in four days but has also financed the investment. Furthermore, through Hybera the company is guaranteeing the custome´s supply and saving in exchange for a fixed monthly fee. Hybera is an autonomous electricity generating plant, designed to guarantee a 100% availability under extreme conditions, drastically reducing the cost of electricity. It is a configurable solution which in fact is capable of powering towers with constant consumption from 500 W up to 3,000 W. Specifically, the unit installed in Mauritania, Hybera L, is dimensioned for 1.3 kW DC consumption and annual AC loads of 10,000 kWh. 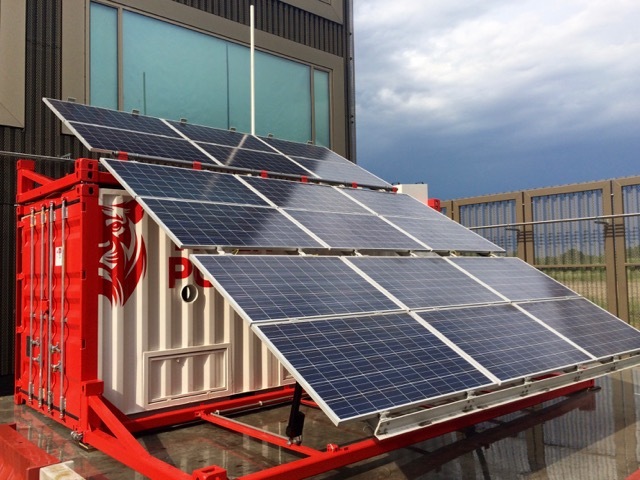 Hybera is a containerised solution of solar energy and batteries which uses a back-up genset. It is manufactured, assembled and tested at the factory, allowing it to be installed and put into service in just four days. It also incorporates Green Monitor, a SW tool developed by Ennera, to monitor and operate the plant. During the first months of operation, Ennera has done all sorts of tests on the system, including a test of autonomy, having far surpassed the two days required by the customer. After these results, the client upgraded its tower to 3G. Nowadays, 1.1 million telecommunication towers are off-grid or connected to weak grids. The electricity cost is more than 50% of the whole operation cost. The Hybera solution is a "plug & play" containerised modular system, designed to reduce costs and meet the requirements under extreme conditions. Ennera company, a subsidiary of CAF Group, operates in Asia and America. With this first project, the company consolidates its entry into the off-grid market, offering energy services to telecom customers. Beyond its application in Telecom towers, the Hybera solution, modular and versatile, is also designed for applications in the rural electrification market. Fluidic Energy is gaining significant market traction in the rural electrification space with its game-changing rechargeable, long duration Zinc-air energy storage technology. Fluidic Energy is gaining significant market traction in the rural electrification space with its game-changing rechargeable, long duration Zinc-air energy storage technology. Villages across Southeast Asia and Africa are benefitting from up to 48 hours of power autonomy and lifetimes of over a decade. Although mini-grids have been widely accepted as the fastest way to bring clean and reliable energy to the rural parts of Africa, energy storage has not only been the most costly component of such projects, it has also typically been the Achilles heel to their long-term viability. With poor lifetimes and a lack of reliable performance, the energy storage component has left many mini-grid attempts in ruins, and massive amounts of well-intended dollars have gone down the drain. While traditional storage technologies (e.g. Lithium and Lead-Acid batteries) have issues with deep cycles, state of charge, high temperatures, and work best in shorter duration applications, Fluidic Energy’s Zinc-air “Marathon” technology operates without need for cooling up to 50 C, and is capable of storing large amounts of energy and discharging that energy over several days, completely eliminating the need for diesel gen-sets. 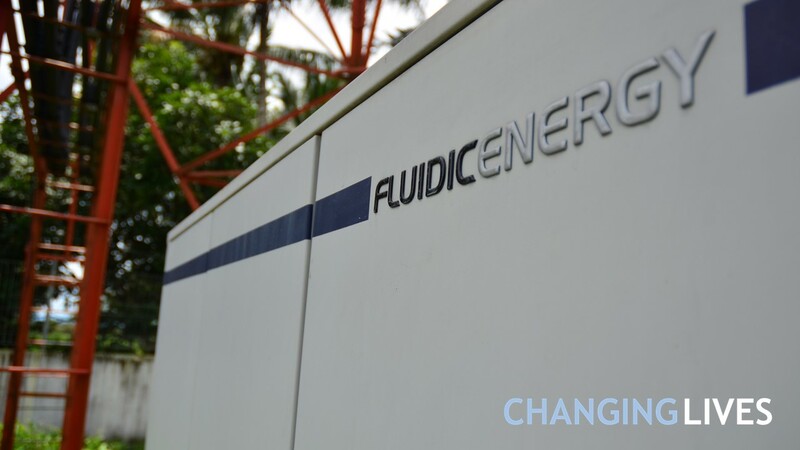 Furthermore, with integrated remote management systems enabling over-the-air system maintenance and management capabilities, the Fluidic energy storage solution provides consumers significantly improved grid availability and an unparalleled overall user experience. In partnership with Caterpillar and its wide network of CAT Dealers across Africa, Fluidic has expanded into development of large-scale rural electrification projects. With pre-designed and tested solutions ranging from 25 kWp up to 200 kWp, smart meters, mobile pre-payment systems, and over a decade of system life, the Caterpillar-Fluidic partnership provides its customers and financiers across the continent rapidly deployable solutions on a much larger scale than ever seen before. Fluidic’s mission is to empower lives through access to reliable, cost effective, clean, renewable energy. The Fluidic team is committed to impacting and empowering communities worldwide. According to the African Development Bank estimates, Sub-Sharan Africa needs 75 million mini-grid powered connections to achieve universal access to electricity by 2030. This massive number requires everyone to think much bigger and bolder than ever before. With 75,000+ batteries in the field, 3+ million people positively impacted to date, and large-scale rural electrification projects underway in both Southeast Asia and Africa, Fluidic Energy is helping accelerate the penetration of affordable, reliable, and clean electricity across Southeast Asia and Africa. Access to sustainable energy is a key driver for rural development as stated in SDG7. Such access to electricity still remains a challenge for many sub-Saharan countries. Access to sustainable energy is a key driver for rural development as stated in SDG7. Such access to electricity still remains a challenge for many sub-Saharan countries. This is also true for many regions of the largest country in sub-Saharan Africa: Nigeria. To achieve a rapid electrification for especially rural areas all kinds of technologies have to be considered. Apart from the conventional approach of grid extension it is possible to supply electricity demands via decentralised mini-grids or stand-alone solar-home systems (SHS). These alternative electrification pathways are complex and their performance is influenced by many different input parameters. Therefore, sophisticated modelling and planning tools to determine techno-economic optimised electrification pathways are necessary. Here, an approach for such a tool is presented which combines geospatial information systems (GIS) and energy system simulation tools. The approach is developed at the Reiner Lemoine Institut (RLI) in Berlin and currently applied in many projects for example in Nigeria, Myanmar, and the Philippines. The approach is based on the identification of consumer clusters and the determination of their status of electrification via e.g. night light analysis. This is followed by a detailed load demand projection based on socio-economic input factors. 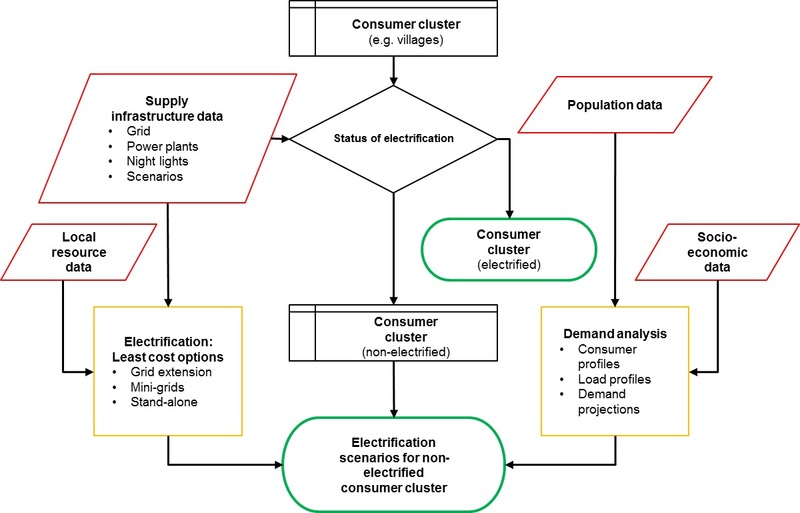 Once knowing all un-electrified consumer clusters and their projected load the assignment of a suitable electricity supply option can be performed. Three options are taken into account: Grid extension, PV-hybrid mini-grids and solar-home systems (SHS). Within this study we have identified 47,489 consumer clusters for entire Nigeria and found that 46% of the people living in these clusters are currently not supplied with electricity. A connection of all customers within a 20 km zone around the existing grid would have the largest impact with delivering electricity to 57.1 million people. 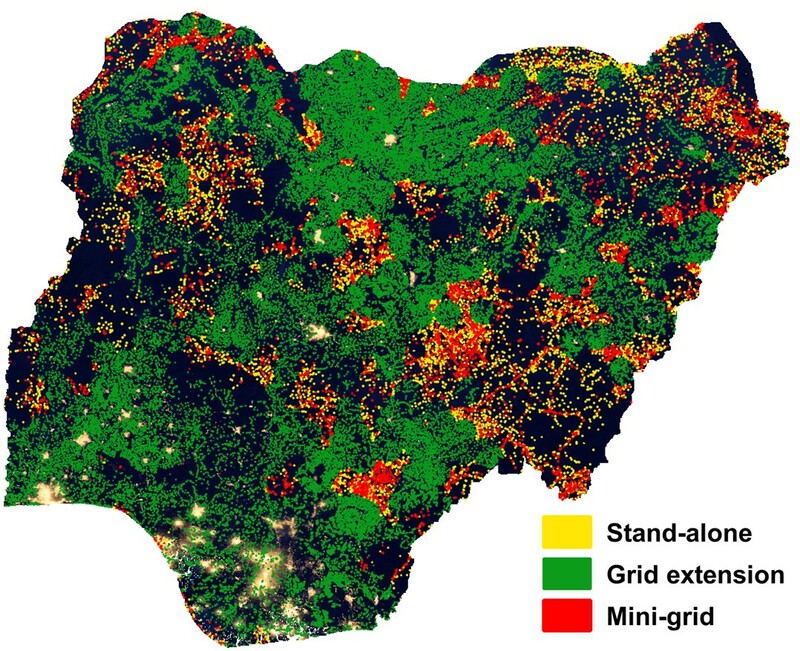 Outside this grid zone, a population of 12.8 million is most suitably supplied by PV-hybrid mini-grids and 2.8 million by SHS. Therefore, a PV capacity in a range of 671 to 1,790 MW for mini-grids and 84 MW for SHS would be required to achieve sustainable access to energy in Nigeria. 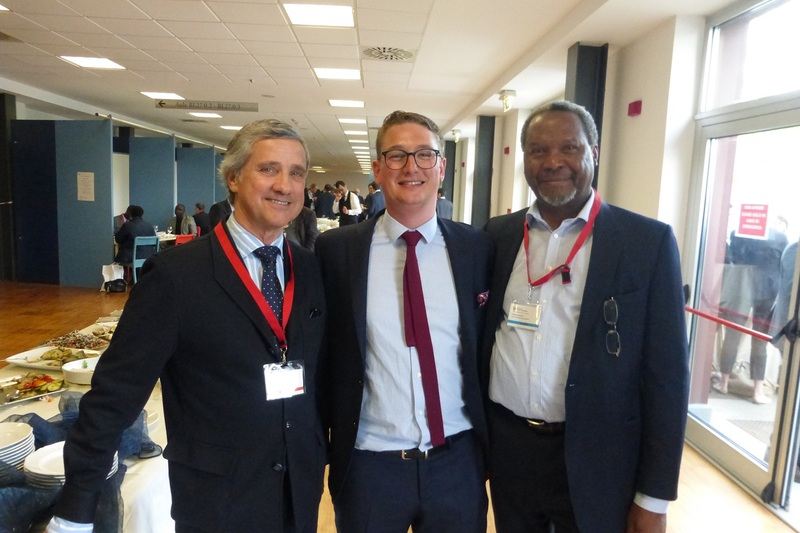 The Africa EU Energy Partnership welcomed over 400 participants from over 62 countries including African Ministers, AU and EU commissioners, and representatives from private sector, civil society and academia to the AEEP’s Second Stakeholder Forum hosted by the Politecnico di Milano. Coming at a time of increased international attention on energy in Africa the forum provided an ideal opportunity to gather both African and European leaders with representatives from the private sector, academia and civil society to discuss challenges and opportunities in the sustainable energy sector in both Europe and Africa. Discussions revolved around key thematic topics such as human capital for innovation, skills and capacity development in renewable energy, increasing investment in energy infrastructure, and finally, coordination across energy for development initiatives and programs in Africa. At the Forum, the AEEP released an Intermediate Status Update on the progress on the AEEP 2020 targets outlining the progress achieved since 2012 in the energy sector Africa. Discussions analysed milestone successes such as significant progress in installed solar generation capacity, and progress in expanding energy access. However, all acknowledged that significant gaps remain in meeting the 2020 targets, and through a Call for Action, over 50 participants made concrete pledges to contribute to the AEEP 2020 targets through their respective channels, particularly focusing on renewable energy job creation for youth and women, incorporating climate concerns in to energy planning and looking beyond the household to the community when designing energy access programs. Contributing to the ongoing theme of the need for coordination in the sector, the AEEP launched its Mapping of Energy Initiatives and Programs in Africa report; the first input in to a proposed pan-African coordination platform for energy initiatives in Africa. In the adopted Forum Communique, high level participants and stakeholders alike pledged to leverage synergies and opportunities for collaboration, address key gaps in the sector, and to further coordinate among partners working in the energy sector in Africa. As the leader of the Energy Access Workstream, ARE organised two panels on capacity building to boost energy access for project developers and the public sector. The Asia Clean Energy Forum is the premier knowledge-sharing event to keep up to date with the latest developments and key issues in Asia’s clean energy sector. 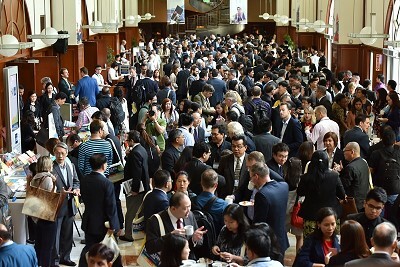 The Forum, which attracted more than 250 speakers, was again a great platform in the region to connect with donors and hear about new trends in rural electrification. ARE Board Member Katarina Hasbani presented ARE case studies at the "Business Models for Access that Spur Innovation" session and the “Reaching the Last Mile: Gender and Socially Inclusive Approaches for Energy Access” session. Organised by the European Commission, the European Development Days brought the development community together to share ideas and experiences in ways that inspire new partnerships and innovative solutions to the world’s most pressing challenges. A Transfer Agreement was signed between the EU and the US Government for the USD 10 million contribution by USAID Power Africa initiative to ElectriFI. This contribution will be targeted at sub-Saharan Africa projects and will support common efforts to facilitate rural electrification in the region. Speaking at the debate on “Will energy access alone end poverty?”, ARE Policy & Business Development Officer David Lecoque provided insights intended for rural leaders, the private sector and scientists (podcast). 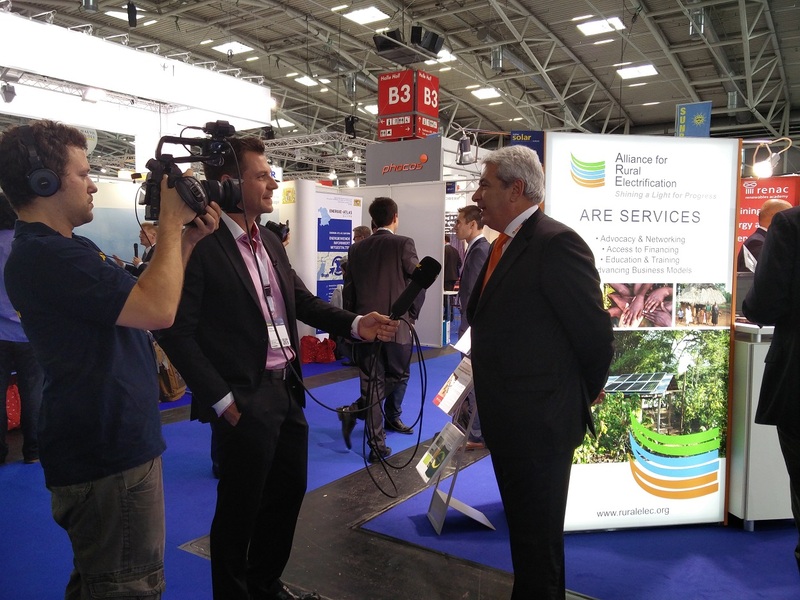 The ARE team was also present at the EUEI-PDF stand to promote the off-grid private sector. The 2nd Off-Grid Power Forum was once again in the spotlight and served as the meeting point for the global off-grid sector and scientific community. In its second year running, the organisers Intersolar Europe, BSW-Solar and OTTI together with ARE, put together an off-grid programme comprised of exhibitors, presentations and networking opportunities. The Off-Grid Job Platform, which was launched at the Forum on 22 June 2016 and sponsored by ARE member Solarkiosk, plays an important role in attracting talented and motivated individuals to work in the off-grid sector. A stronger presence and visibility of ARE members on the job market, will make it easier for businesses to find the right candidates for their vacancies, for jobseekers to find jobs that match their ambitions and for the sector as a whole to attract new talent. In light of ARE’s growing membership, the Off-Grid Matchmaking Platform is another tool that enables effective business-to-business and business-to-finance matchmaking by giving an overview of which ARE members are active where and what their expertise in rural electrification is. The platform serves as a useful tool for businesses, organisations, NGOs and governments seeking project partners, financiers or partners. 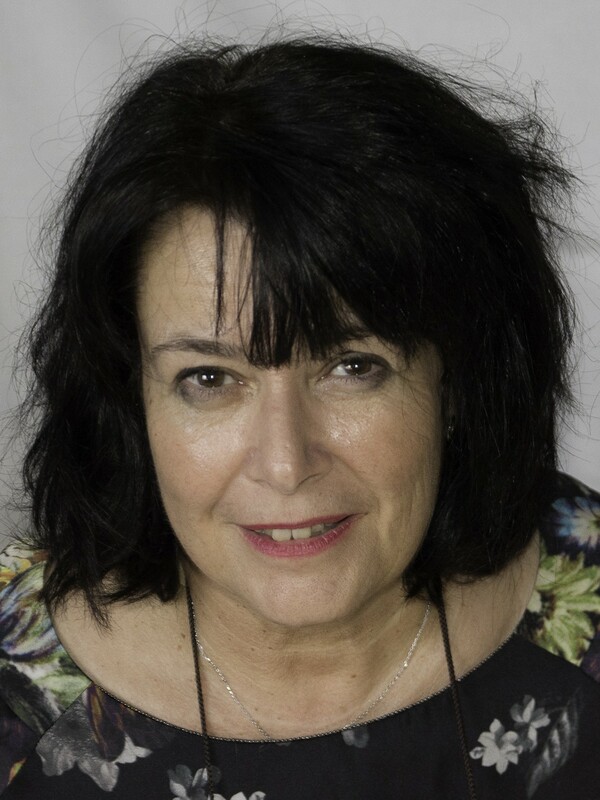 We warmly welcome Bernadette Roman who has working experience in office management and has a degree in Business and Administration and Translation. She is American and her past working experiences comes from multinational firms, pharmaceutical companies, IT and international law firms. Prior to joining ARE, she worked for a Communication and IT firm. The 3rd edition of the International Off-grid Renewable Energy Conference and Exhibition (IOREC) will take place in Nairobi, Kenya from 30 September to 1 October, 2016. The conference will be organised by IRENA, in partnership with the Kenya Ministry of Energy and Petroleum and ARE. 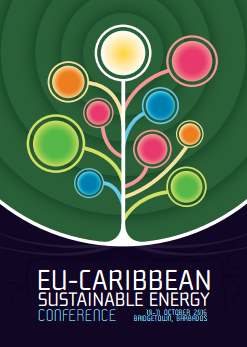 This high-level event is a joint initiative of the EU and CARIFORUM and is hosted by the European Commissioner for International Cooperation & Development Neven Mimica. Innovative technology showcase of solutions specifically designed for renewable energy on islands. On the second day, the Business Opportunities Forum will highlight key areas of interest especially for the private sector in investing in renewable energy as well as energy efficiency. The Forum will include panel discussions, B2B meetings and an exhibition. 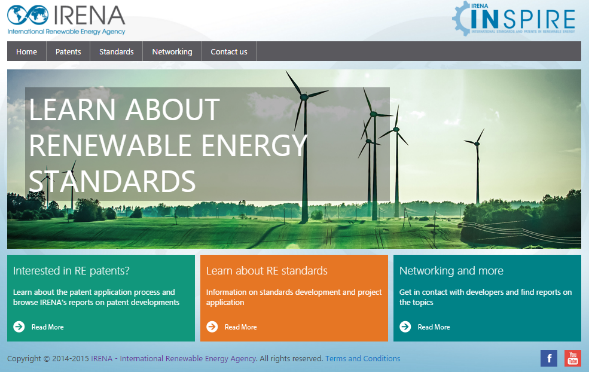 The platform supports the implementation of RET systems that deliver services according to international standards and the tracking of novel technologies for emerging applications. The latest Renewables 2016 Global Status Report, to which ARE provided input, has revealed that renewables are now firmly established as competitive, mainstream sources of energy in many countries around the world. It showed a record growth in renewable energy generating capacity, especially in developing countries, and in investment, despite very low fossil fuel prices. Markets for distributed renewable systems (DRE) systems continue to grow rapidly, with some countries experiencing considerably higher market penetration. The year 2015 also saw closure of a number of financing agreements to support DRE development worldwide, investment growth in distributed solar systems and the continued maturation of innovative business models.